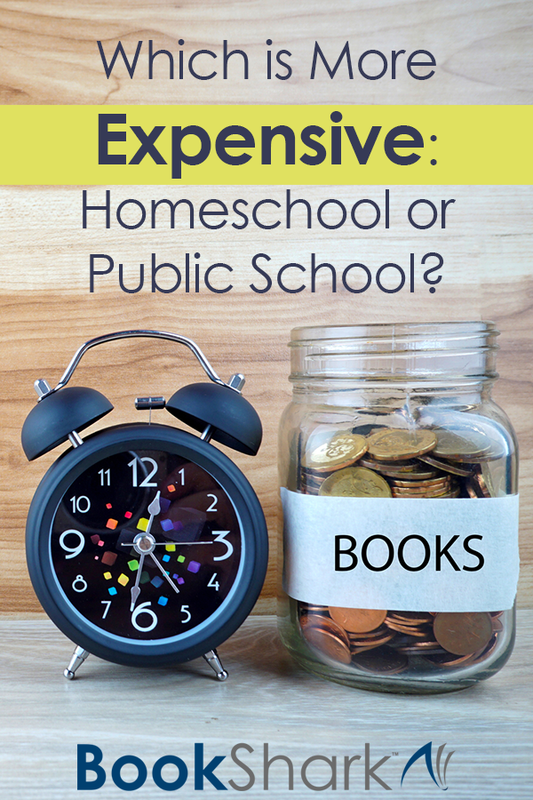 Which is More Expensive: Homeschool or Public School? When I attended public school as a child, I never thought about how much money my parents had to spend to make that possible. Naturally, my biggest concern was getting the right pair of sneakers for my first day of class. Now that I’m a parent, budgeting is one of my biggest concerns. Having tried both homeschooling and public schooling for my own children, I’ve learned firsthand the different costs associated with both methods. My personal experiences have clearly answered the question Which is more expensive: Homeschool or public school? But the answers for others may vary, depending on their educational goals. 1. School shopping: Remember those sneakers that I wanted for the first day of class as a child? Once I decided to put our three oldest children in public school, it became my responsibility to pay for school uniforms—times three. Our local elementary school required specific shirts and pants for all three of the kids. In addition, the school supply list for each grade is exhaustive. Each child is expected to contribute to the classroom’s supply closet, including reams of copy paper, flash drives, and headphones. Simply purchasing the items on the list for each of my children required me to spend more than I would normally spend on school supplies for an entire year of homeschooling. 2. School events: Public schools and private schools hold several school shows, fundraisers, parent nights, conferences, awards ceremonies, and sporting matches each year. An involved parent may spend several nights a month at the school volunteering with these events, supervising their child’s participation, or helping to organize future occasions. These events often cost money—either for tickets or for equipment—and can quickly do a number on a household budget. 3. Time and energy: As with homeschooling, I found that the time and energy that public school required from me was the biggest cost. Adapting to the early schedule was very difficult, especially for my toddler who had to rise at 6:30 a.m. with the rest of the kids. After the children arrived home, each of them needed help with a different homework assignment for a different teacher. So they all needed my one-on-one help to understand their lessons, remember what they learned, and complete their homework. I spent at least two hours a night simply helping them with homework. 1. Purchasing curriculum and books: The cost of homeschooling curriculum is a major consideration when looking at a homeschool budget. Depending on the programs you choose, a year of curriculum can cost from a few hundred dollars to over $1000 each year, per child. Although there are many free and low-cost curriculum resources available on the internet, parents do have to be careful to make a comprehensive plan with high quality materials instead of hobbling together an assortment of unrelated and insufficient resources. Even the most frugal of homeschoolers have to spend money to educate their children. Many homeschooling parents, including myself, like to keep a home library. Over time, choosing quality children’s books can become expensive. However, there are ways to keep it affordable. Reselling books that children no longer read can help fund the next year’s purchases. Using the public library or the internet for research also reduces the need to buy comprehensive reference works for the home. 2. Activities and socialization: While all parents bear the brunt of afterschool music lessons and weekend sports teams, homeschool parents may find their share is even larger without the support of programs in the local public schools. Because they want to be more diligent to make sure socialization happens, homeschool parents may invest a considerable amount of money into homeschool co-ops and field trips taken with local homeschool groups. 3. Time and energy: One of the biggest costs of homeschooling for me personally has been the amount of time and effort it takes to teach my own children. I spend a few hours planning lessons each week, and most of my day is consumed with teaching, training, one-on-one assessments, and reviewing the day’s assignments. Basically homeschooling is a full time job with a salary only of hugs and a sense of accomplishment. Weighing the costs of public schooling versus homeschooling is particularly critical when a child has special needs. Two of our oldest children have ADHD, so our homeschool lessons have always been structured around their needs for movement, quick lessons, and constant reviewing. In public school, this modification was difficult. Teachers have very little flexibility to accommodate for kids with learning differences, which means it often falls to the kids to adapt. It was clear that if our children stayed in public school, they’d probably have to take medication. For me, that was an unacceptable cost. Whether homeschooling or public schooling is more expensive depends on each parent’s learning goals for their children. Do they intend to use a private institution or a public school? Do they plan to purchase boxed homeschooling curriculum or use digital resources and library selections? Will children participate in extracurricular activities? Which method is more expensive for each family varies, according to the kind of education each parent wants for his or her children. No matter the costs, both public school and homeschooling have their benefits and can provide a rewarding education for kids. 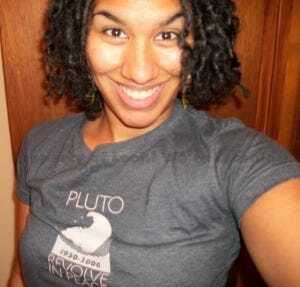 Selena is a homeschooling graduate and a veteran homeschooling mother of four, including three with ADHD. She and her husband, Jay, use an eclectic homeschooling approach to encourage their children to learn throughout their lives. Selena blogs about her family's homeschooling adventures every week at Look! We're Learning!